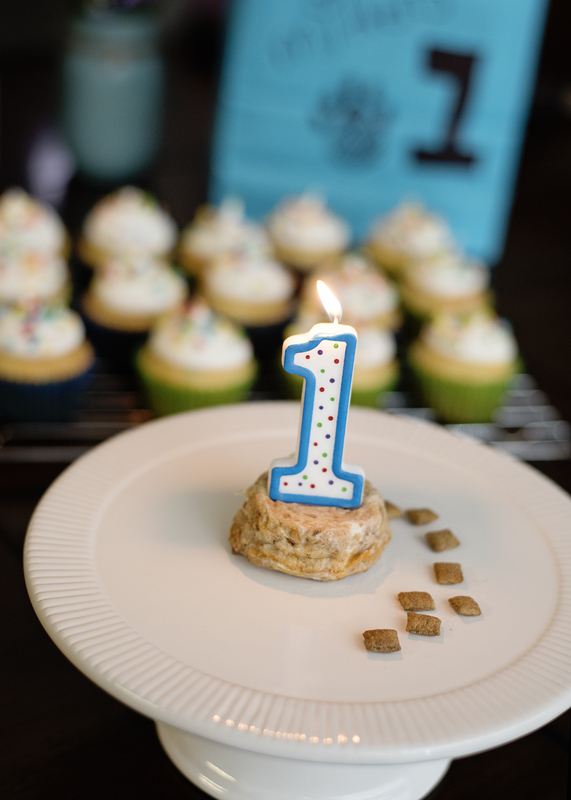 We recently celebrated our kitty’s first birthday! The kids were super excited and asked me if we could have a birthday party for Mittens. Well, of course! I quickly sought out the interwebs (Pinterest) to learn how to make a birthday cake for your cat. I was sure it had to do with tuna, but had no idea how to make this happen. There is one very popular recipe floating around Pinterest, so I gave it a shot. Mittens thought it was Purrrrr-fect! 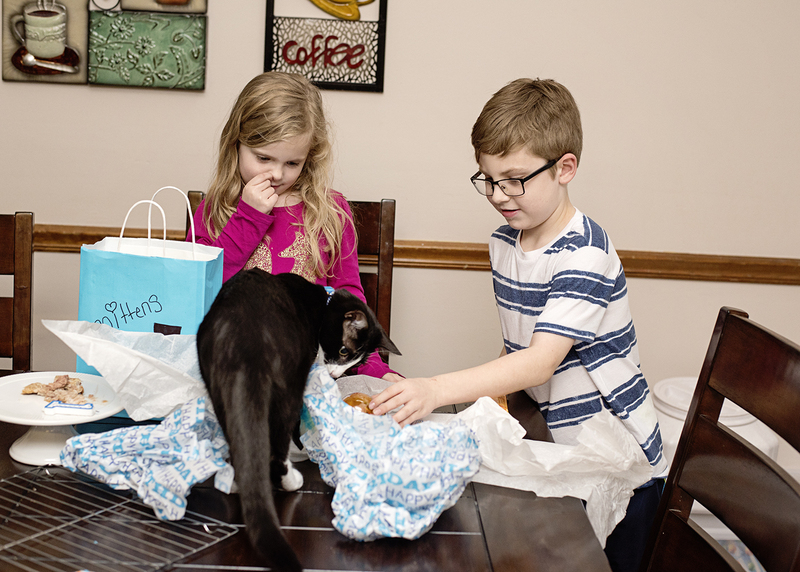 We love to spoil Mittens and the kids loved giving him presents. A few treats and a ball was enough to make him feel like it was kitty heaven! 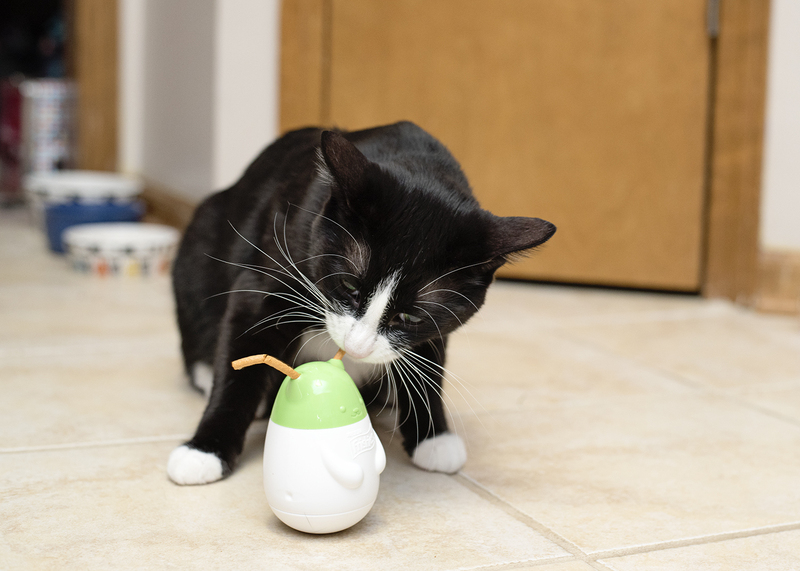 The favorite seemed to be this Pull and Play treat dispenser from Friskies. The little antennas were treats and as the toy wobbled around, little treats came out the bottom. Hours of entertainment! The kids weren’t amused about sharing the tuna cake with Mittens. 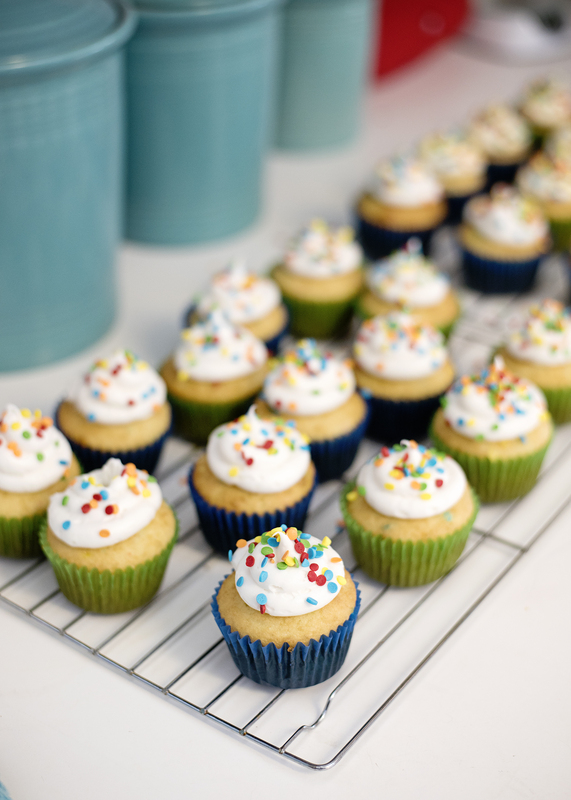 I whipped up a batch of yummy cupcakes for the family to enjoy. Then, we shared the rest with our neighbors. 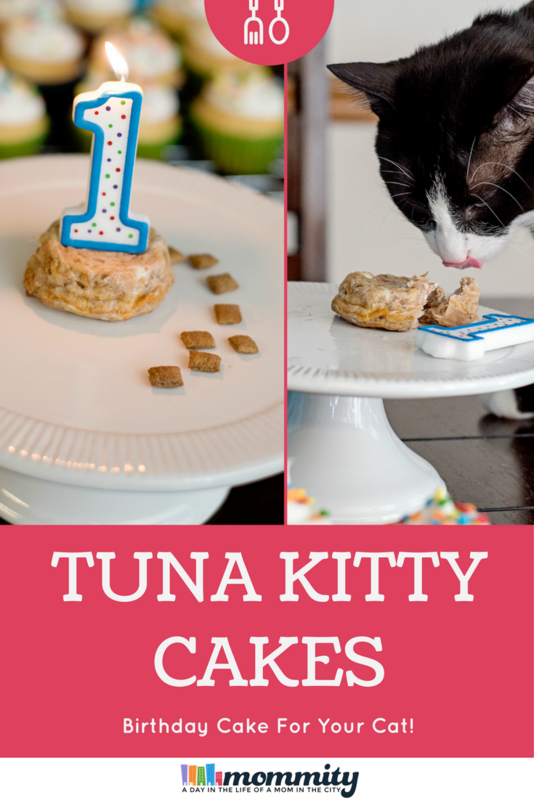 Are you looking for the purrr-fect recipe to make a birthday cake for your cat? 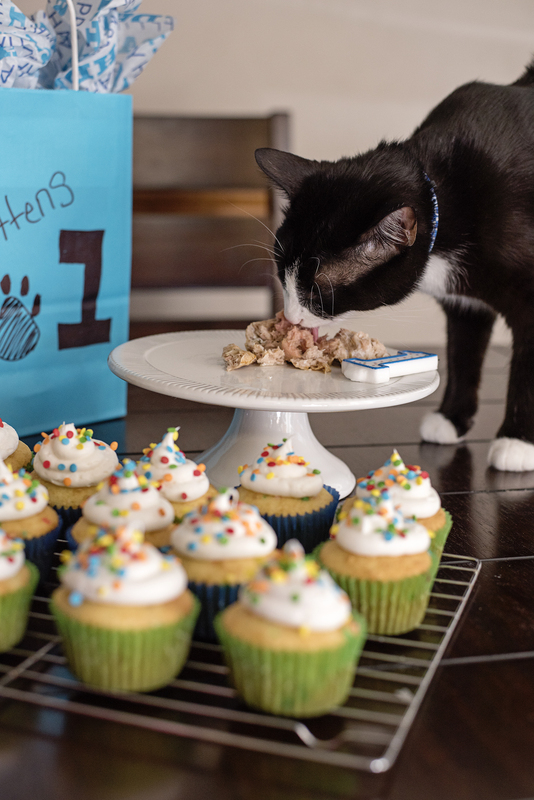 Mittens gave this one 100% approval and even shared the second cake with our neighbor kitty. I’m always hesitant to try recipes online, we loved this one a lot and it was very easy to make last minute. I hope you give it a try and let us know how your kitty likes it! 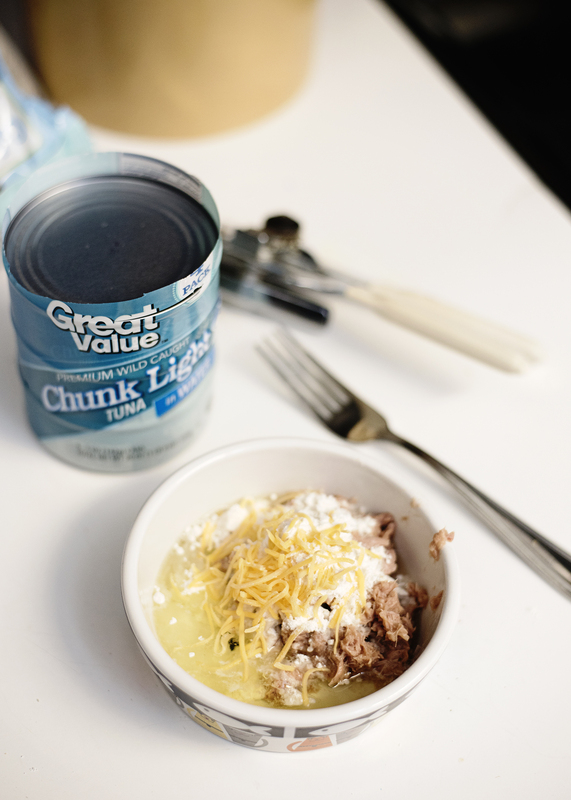 In a small bowl, mix together the flour, shredded cheese, egg white and the tuna. Once combined, pour into a muffin pan that has been sprayed with pan. This will make two small tuna cakes, use the middle two cupcake holes on the pan. Cool completely before serving to your kitty! Top with some fresh tuna and a pretty candle. Happy Birthday!